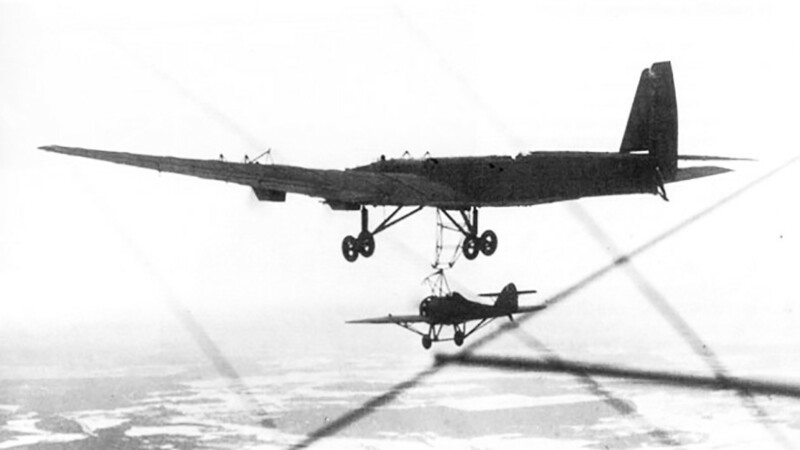 Not all bright ideas of Soviet aviation became reality. For various reasons, some aircraft either never saw the light of day, or were canceled shortly after launch. Russia Beyond presents the most unusual and interesting among the Soviets’ forgotten aero projects. The giant plane K-7, developed in the 1930s, was the largest plane in the Soviet Union in those days. With a wingspan of 53 meters and seven AM-34 engines, it served as a bomber in the Soviet Air Force. It could also be used as a passenger aircraft. The crew of the plane had to consist of 12 people, including even a boatswain. Still, the first prototype crashed in 1933 and two others remained unfinished. The Soviet project known as Zveno (“Chain link”) was developed in the Soviet Union from the 1930s till the beginning of the Great Patriotic War in 1941. The idea lay in using a bomber plane as a carrier for one to five fighters, allowing them to significantly save fuel. After takeoff, the fighters docked with the bomber-carrier via special fastenings. The bomber took the fighters to places beyond their normal range. Undocking, the fighters carried out their combat mission and then returned to any friendly airport. 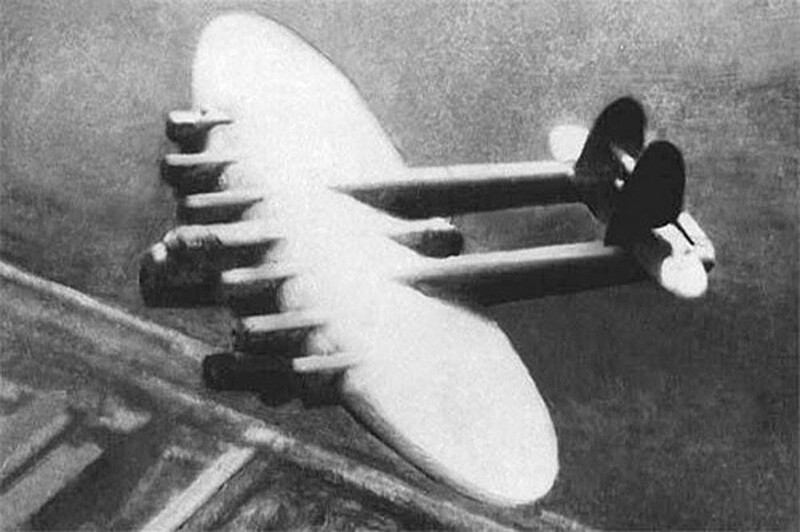 The carrier could also take off with several Polikarpov I-16 fighters, each of which had two 250 kg bombs. The I-16 was not able to take off with such cargo by itself. Despite several successful operations during the first period of WWII, the Zveno project wasn’t developed further. The TB-3 bomber, which had been used as a carrier, was removed from serial production due it was too obsolete. The I-16 was also replaced by more advanced Soviet fighters. This high-speed reconnaissance strategic bomber was developed by the Sukhoi design bureau in the late 1960s as the Soviet answer to the American XB-70 Valkyrie strategic bomber. The “Russian Valkyrie” was designed to attack carrier strike groups with two X-45 hypersonic anti-ship cruise missiles (an unfinished project). The plane had outstanding characteristics: a fuselage made out of titanium and stainless steel, and a quadruple redundant fly-by-wire control system. Still, the project was shut down due to the extremely high cost (1.3 billion rubles). The Soviet military industry shifted toward development of the Tu-160. The most known convertiplane today is the American Bell Boeing V-22 Osprey, designed in the 1980s. Yet it is a little known fact that the Soviet Union had been trying to create its own convertiplane since the early 1970s. 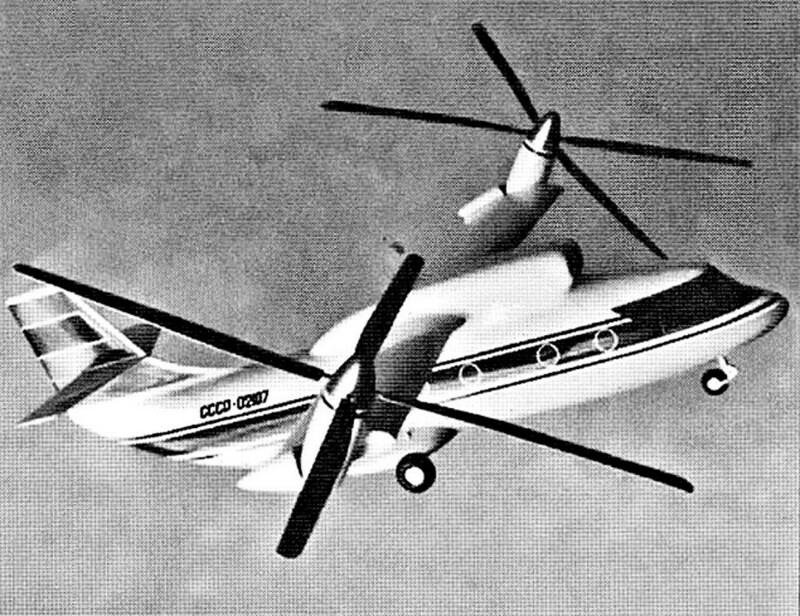 The first prototypes of the Mi-30 convertiplane were due to appear in 1986, but due to perestroika the project was cancelled. Four models are said to have been built, but while flying to the demonstration place, three of them lost control and crashed. It remains unknown whether it was due to pilot error or faulty design. This deck-based fighter was designed with a forward-swept wing and a fuselage made of composite materials. 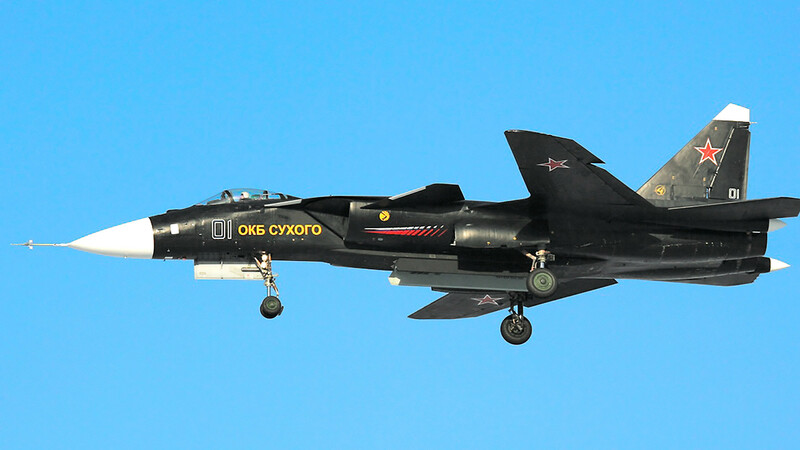 The Soviet Navy ordered development of this jet for its own needs, but the fall of the Soviet Union put paid to these plans. Still, the project didn’t die. 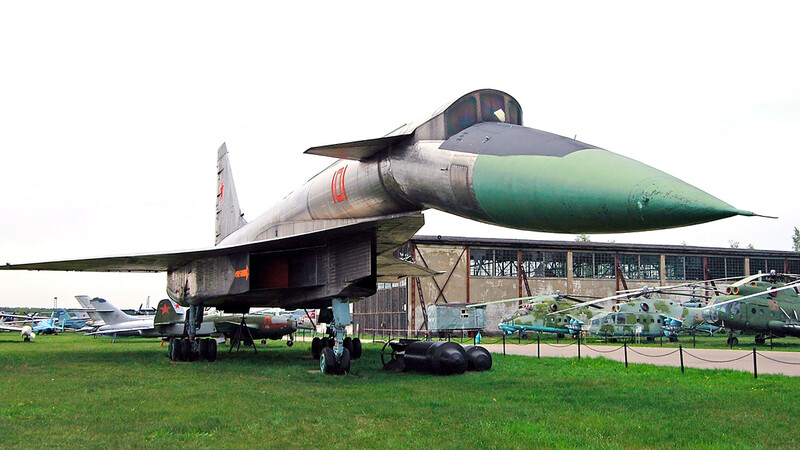 It was presented to the public in 1999, and is in operation today as the “flying laboratory” of the Sukhoi Design bureau. In many ways, the Su-47 became the basis for the newest fifth-generation Russian fighter, the Su-57.